At the end of the installation script, go to the web interface of your Webcampak. During installation, a self-signed certificate is created by the system. 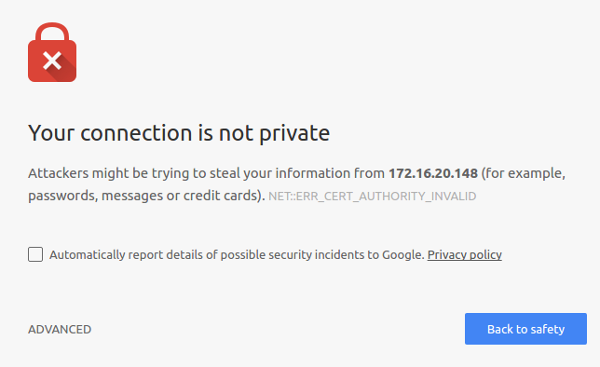 Although self-signed certificates should definitely be a concern and are not recommended for publicly accessible Webcampak instances, they represent the only option when domain names cannot be used (for example a local webcampak). Following initial setup, you will be presented with a security warning from your browser. For now, accept it, but you are strongly encouraged to reconfigure the system to use a signed certificate issued by a public CA such as letsencrypt. You will then be presented with the default splash screen, select "Desktop" to begin the installation. Since this will be the first connection, you will be offered to change your password. Please note that this is not enforced and the same password can be entered (although not recommended). As-is, a few configuration settings must be modified for the system to be useable. Click on the top-left menu, and navigate to "System Conf." Timezone: The timezone of the geographical location where this Webcampak is installed. This can be different from the timezone used by its sources. Webcampak initial setup is complete, you can now start adding sources. In its current version (this will be modified in the future), Webcampak is using its Symfony API through its Swift mailer library to send emails. 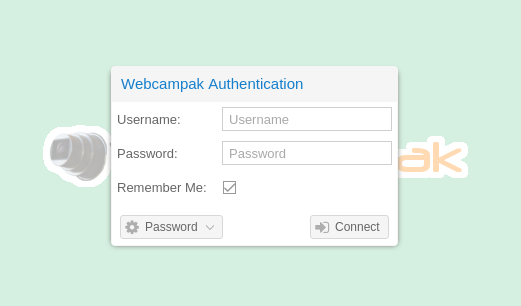 Webcampak ships by default with our internal SMTP server. This server is (obviously) not reachable from the outside and users will need to manually change those settings to their own SMTP server (or even gmail). 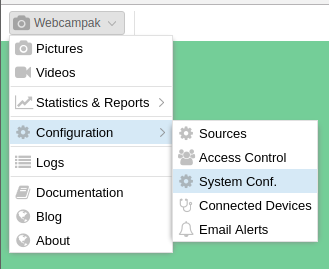 This is a required step for Webcampak to be able to send emails.